Samsung’s latest 4K UHD TVs are called QLED and challenges OLED TVs from manufacturers like LG. The new QLED series Q7, Q8 and Q9 will launch in April. The TV market has been flooded with all kinds of fancy abbreviations for both new and existing technologies since the advent of flat screen TVs. Samsung markets its new TVs as “QLED” TVs, which means little to the average consumer. What does QLED mean? The first letter ‘Q’ stands for Quantum. Hence, a QLED TV is basically an LED-lit 4K LCD TV with Quantum dots. The Quantum dots are small semiconductor particles that improve colour and brightness. The flagship Q9 series, for example, handles the detailed DCI-P3 colour spaces and reaches 1,500 to 2,000 nits luminance. 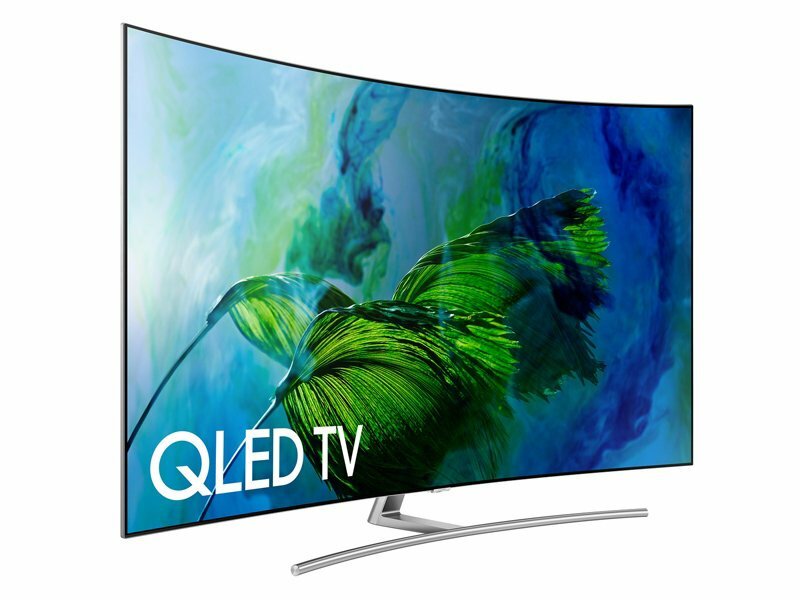 Samsung actually used to called Quantum dot TVs “SUHD”, but has renamed them to QLED this year in order to better position them in the market. This sounds like a good move since “QLED” sounds like a quality version of OLED, at least to me. Samsung QLED TVs minimise screen reflections due to an ultra-low reluctance film applied on the screen and black matrix masking. Furthermore, the VA LCD panels have been processed in a way that reduces screen reflections. The new TVs only support HD10 as HD format, while other manufacturers like LG provide support for a range of HD formats. The Q7 and Q8 series are already available for pre-order in the US. The Q7 series starts at US$2,499.99 for the 55-inch 4K flat screen model and goes up til US$5,999.99 for the 75-inch model. The curved Q8 series starts at US$3,499.99 for the 55-inch screen model. No pricing information is available yet regarding the top-range Q9 series.